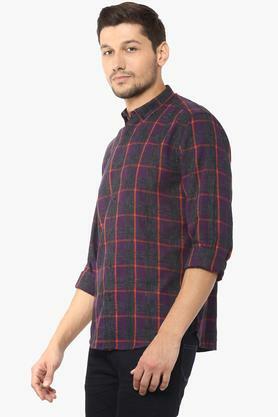 Enhance your wardrobe collection by adding this shirt brought to you by Blackberrys. It has been tailored with a fine quality fabric, which will provide a soft touch against your skin. 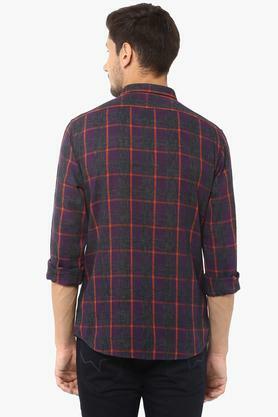 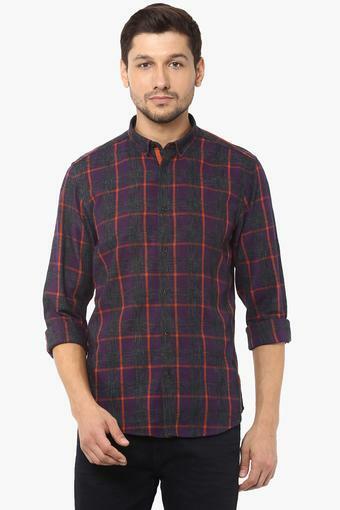 Moreover, it features a check pattern that accentuates its look. In addition, it comes with full sleeves that render it trendy. Fashion up your casual look by wearing this shirt, which has been crafted with care. 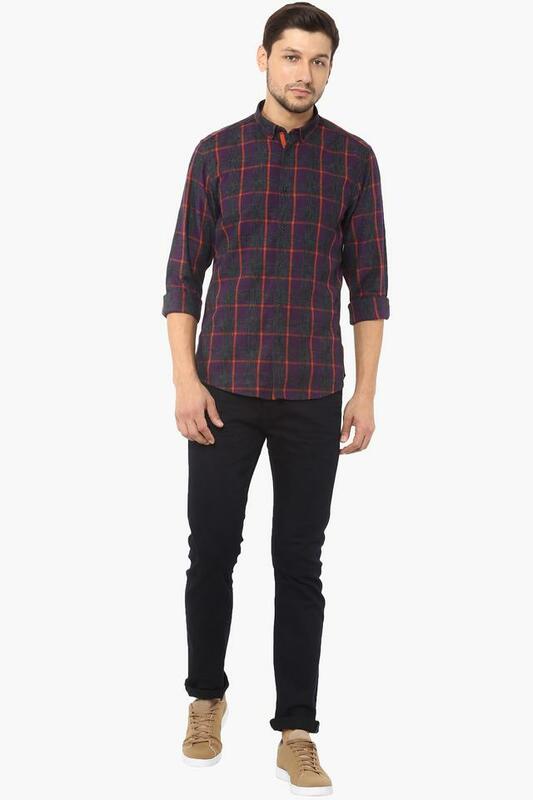 You can club it with a pair of chinos and lace up shoes to make a style statement.